For many, perusing the subreddits of AskReddit is a pre-bedtime ritual or a tool for procrastination. 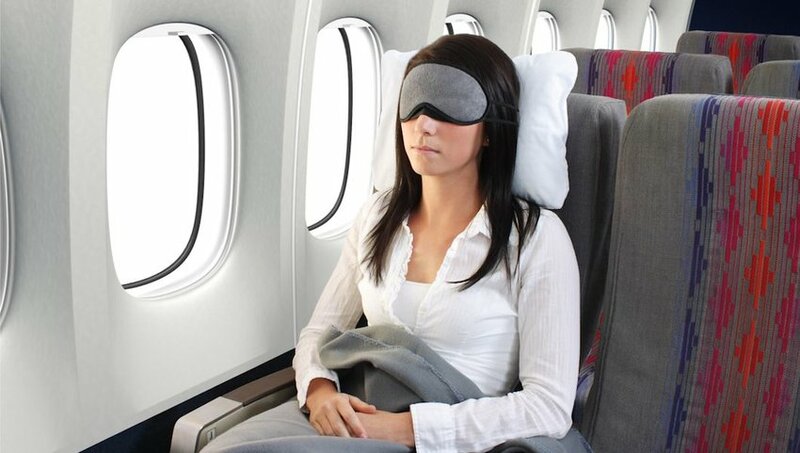 However, the platform is a goldmine for travel tips and hacks, and across a number of threads, seasoned travelers and frequent flyers have come forward with their best tips for a smooth journey abroad. We've scoured the threads and found some of the best travel tips to help you have a smoother journey. If you do plan on checking your bags, then be sure to pack one complete outfit in your carry on in case your baggage is delayed. This way, you’ll have a spare set of clean clothing ready to go. Be sure to ask the airline about their compensation policies, and depending on which route you’ve flown, you may be reimbursed for purchasing toiletries. In order to avoid high laundry fees at hotels, carry a few travel size detergent packets so you have the option of doing your own laundry in the bathroom sink of your room. This works especially well if you just need a few more pairs of clean socks and underwear during your trip. Pack a small first aid kit with the essentials — bandages, antiseptic wipes, pain medication and antidiarrheals for easy access if you fall ill on the road. If you’re traveling through villages or remote areas, these basic items won’t be readily available. And if you're in a city with higher tax rates, you might save money by purchasing these items at home. Instead, frequent business flier and Redditor mdowney suggests packing light and travel with a carry on only. 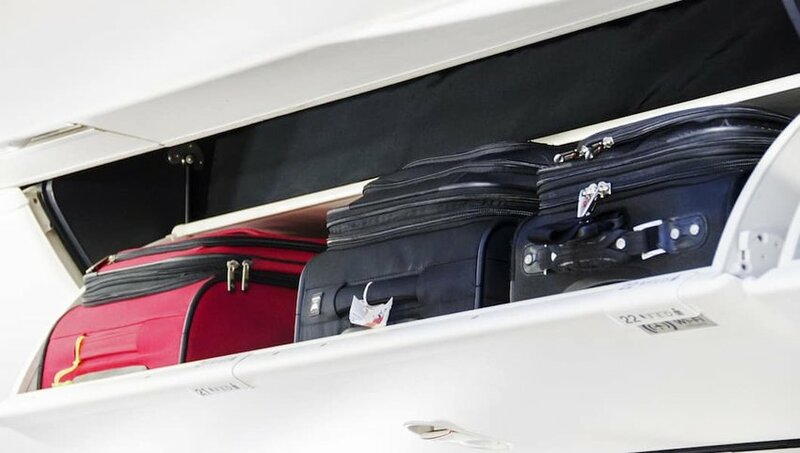 Not only does that prevent the airline from losing your luggage, but traveling with a carry on also eliminates the need to wait for your bags at the carousel after a long flight. If you miss a connecting flight or wish to catch an earlier one, then you don’t have to worry about arriving to your destination without your checked luggage. With a carry on, you’re able to deplane and hop into a cab for your accommodation without skipping a beat. Several Redditors highly recommend scanning and storing copies of your passport and identification cards in a Dropbox folder so it’s accessible from any browser should they be stolen. Having copies on hand will significantly expedite the process of replacing your stolen documents. Frequent fliers should pick one airline and stick to it in order to accumulate points. Earning status with a particular airline yields its results in receiving free upgrades. Similarly, earn points with a chosen hotel chain and you’re more likely to be upgraded to a venue’s best available room upon check in. Check out our blog on the best loyalty programs to get you started. If you’re a budget backpacker roughing it in twenty-bed dorm hostels, there’s bound to be at least one snorer who will keep the room awake throughout the night. Bring ear plugs to ensure you catch some Z’s. We even found you an inexpensive pair with over 2,000 five-star reviews on Amazon. Pick up basic key phrases in the language of the country you’re about to visit. By learning how to thank or ask where the bathroom is in the local language, you show respect as a tourist. Though English is considered the universal language, don't expect everyone to be fluent. Locals are experts on the destination you’re visiting, so don’t be afraid to befriend some and ask for suggestions on what to do or where to eat. They often know better than the Internet where to uncover the hidden gems and get off the beaten path. Redditors agree that you must first know the people to know the country. According to Redditor LaunchAllVipers, when the plane takes off, set your watch to your destination’s local time and stay awake until an appropriate bedtime. Similarly, when you arrive at your destination, refrain from taking a nap until the sun goes down in order to reset your internal sleep clock. Never leave home without travel insurance in order to protect yourself and your belongings should an unfortunate event occur. Just in case your things go missing in some remote jungle village, or you need airlifting while scaling the heights of Mount Kilimanjaro, you don’t want to be stuck with a bill for thousands of dollars. Redditor schneems advises bringing an external phone battery to keep your mobile charged especially if you rely on Google Maps to navigate throughout new cities. It’ll also save you when your mobile shuts down just before you show your cab driver the address of your final destination. A power strip is a tool for making instant friends at a hostel or while waiting for your flight at the airport. When there’s only one available outlet but a dozen people needing to recharge, you’ll be an instant hero with a power strip. For avid hostellers, pack your items in recyclable bags instead of plastic bags. Aside from being environmentally friendly, if you need to rummage through your backpack early in the morning or late at night, using recyclable bags will save you from making lots of rustling noises that’s sure to wake your roommates. In the event that you miss your flight or there’s a delay, gate agents are likely the first people you turn to in order to be rebooked or rerouted. They handle numerous complaints filed by impatient travelers throughout the day, and understandably will not sympathize if you’re rude. Ask politely for help and you’re much more likely to receive a stay at a hotel or a seat on a reassigned flight. According to business travelers on Reddit, Monday mornings, Thursday afternoons and the weekend are the busiest travel days, with airlines carrying high passenger loads. The remainder of the week — Monday evenings, Tuesdays, Wednesdays and Thursday mornings — are considered to be low load days as business travelers generally fly out Monday mornings and return on Thursday evenings. In addition, leisure travelers hardly begin and end their vacation in the middle of the week. So if you’re flexible on travel days, fly midweek to avoid packed flights. Rent from an establishment a short cab ride away from the airport instead of picking up your vehicle directly at the airport to save up some serious cash. Airport rentals inflate their prices due to high demand and convenience, so search for a pick up location that’s just a few minutes down the road to save big. Redditors recommend visiting a local bank or withdrawing money from an ATM instead of exchanging money at the currency exchange when you land at the airport, as it charges a hefty fee. If prompted at an ATM, always carry out the transaction in the local currency to avoid incurring unfavorable exchange rates set by the ATM. Not a tourist. Dive into the daily life of locals by visiting supermarkets when traveling internationally. In destinations where supermarkets are geared towards middle class shoppers, then opt to visit marketplaces. Though it sounds mundane, you get to observe and understand the popular local ingredients and common dishes of the destination you’re in. While waiting to pass through airport security, Redditor ctk530 suggests transferring your mobile, any loose change or other items you may have in your pockets to an easy-to-reach pocket of your carry on. Dress smart by opting for slip on shoes, and remove any belts in advance in order to breeze through security and avoid holding up the passengers behind you.